Ghorbani, A., Bots, P., Dignum, V., & Dijkema, G. (2013). MAIA: a Framework for Developing Agent-Based Social Simulations. Journal of Artificial Societies and Social Simulation, 16(2), 9. Ghorbani, A. (2013), Structuring Socio-technical Complexity: Modelling Agent Systems using Institutional Analysis, PhD thesis, TU Delft. Ghorbani, A., Dijkema, G., & Schrauwen, N. (2015). Structuring Qualitative Data for Agent-Based Modelling. Journal of Artificial Societies and Social Simulation, 18(1), 2. Ghorbani, A., Dijkema, G. P. J., Bots, P., Alderwereld, H., & Dignum, V. (2014). 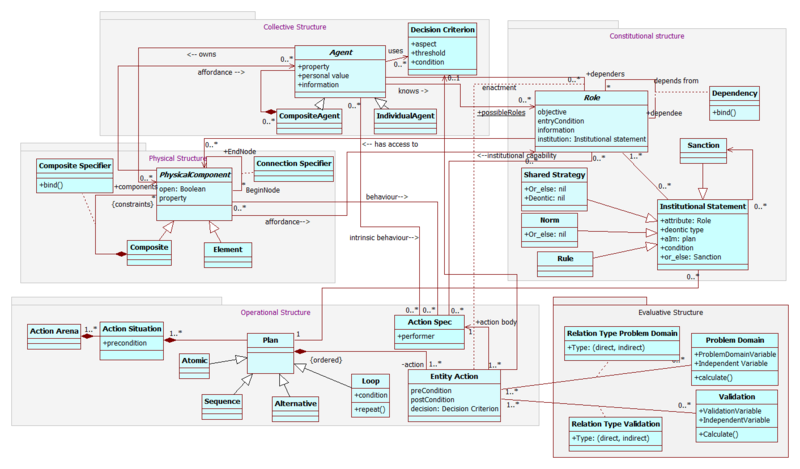 Model-driven agent-based simulation: Procedural semantics of a MAIA model. Simulation Modelling Practice and Theory, 49, 27-40. Ghorbani, A., Dignum, V., & Dijkema, G. (2012). An analysis and design framework for agent-based social simulation. In Advanced Agent Technology (pp. 96-112). Springer Berlin Heidelberg. Ghorbani, A., Aldewereld, H., Dignum, V., & Noriega, P. (2013). Shared strategies in artificial agent societies. In Coordination, Organizations, Institutions, and Norms in Agent Systems VIII (pp. 71-86). Springer Berlin Heidelberg. Ghorbani, A., & Dignum, V. (2014, January). Agent-Based Simulation for Complex Social Systems: Support for the Developer. In Proceedings of the European Conference on Complex Systems 2012 (pp. 421-425). Springer International Publishing. Ghorbani, A., Dignum, A., Dechesne, F., Jonker, C. (2014), Enhancing ABM into an Inevitable Tool for Policy Analysis, Policy and Complex Systems, Volume 1, Issue 1, Policy Studies Organization. Where does MAIA come from? © 2014 Faculty of Technology, Policy and Management, Delft University of Technology. All rights reserved.